Home Nigerian News Is President Muhammadu Buhari a leader? Is President Muhammadu Buhari a leader? In those tense and terrifying days leading up to the 2015 presidential election, Mohammadu Buhari was ridiculed, by his detractors, for having already been rejected three times by the Nigerian electorate. Well, making a fourth run for the presidency after three earlier consecutive defeats was not a mark of shame but a badge of honour. After all, it has been written that, “the greatest glory is not, in never, falling, but in the ability to come back after a fall”. His ability to rebound after each electoral defeat, and then, finally win the presidency was something of a “triumph of the will”. It was a testament to his indomitable will. Buhari’s strong will and incorruptibility represented refreshing contrasts to Goodluck Jonathan’s spineless and sleazy presidency, which accentuated the moral and ethical regression of the Nigerian society and its propensity for lawlessness. Lawlessness and its associated corruption is enervating and suffocating Nigeria. Until corruption is reduced to a manageable level, the country cannot take the next step forward. Therefore, the war against corruption by the Buhari administration is most apropos. Lamentably, in the war, his administration is swimming against the tide because it has failed to carry the country and its institutions along. Nigerians remain the same. They are as greedy, opportunistic and prone to corrupt practices as ever. Nigerian institutions remain unchanged. Even institutions, like the police and the judiciary, that should spearhead the war on corruption are lethargic, moribund and unrepentantly corrupt. The success of the war on corruption will demand more than the arrest, prosecution and imprisonment of some corrupt government officials and fraudulent businessmen. It demands an elevation of our collective morals and ethics or, at least, a paradigm shift that will change our attitude towards money, the law and civic responsibility. Buhari can bring about this change only if he is a leader. It can rightly be argued that there are limits to what a leader can do, that he can only lead within the parameters already defined by the society. However, history has demonstrated that leadership can always make a remarkable difference. Not surprisingly, leaders had lifted countries from the pits of despair and hopelessness to the pedestal of hope and renewed optimism; morass of corruption and moral decadence to high standards of probity and decency; quagmire of anarchy and social injustice to a new dawn of the rule of law and social justice; and shackling avarice and civic indifference to invigorating selflessness and patriotism. The question then is, is Buhari a leader? This question must sound outlandish and seem redundant to many Nigerians because, to them, a president is automatically a leader. Surprisingly, some presidents and men in high offices are not leaders. The office of the president provides a wonderful platform for leadership but if the occupant is inherently unequipped, and/or lacks the disposition for leadership, he ends up not leading. A leader does not have to occupy an exalted position in government or industry to lead. A leader attracts a loyal and committed following because he possesses that indescribable, indefinable magnetism that powerfully and irresistibly draws people to him. Leadership represents a current in history, and a current, naturally and successfully, moves and carries people along towards the actualisation of stated goals and objectives. Leadership is not management and administration. Managers and administrators tend to be narrow-minded conformists prepossessed with the necessities of the time. Consequently, they can only manage and administer the status quo, dealing with issues and resolving problems within established societal limits. Robert F Kennedy, that idealistic aspirant to the president of the United States of American, whose life was snuffed out by an assassin’s bullet, once said that, “others think of what is and ask why; I think of what is not and ask why not”. “What is” is the status quo, and that is the purview of managers and administrators. “What is not” is that which only a leader, with his vision and farsightedness, can grasp and labour to bring into reality. Leaders set the moral tone, move people to action and usher in a new order. 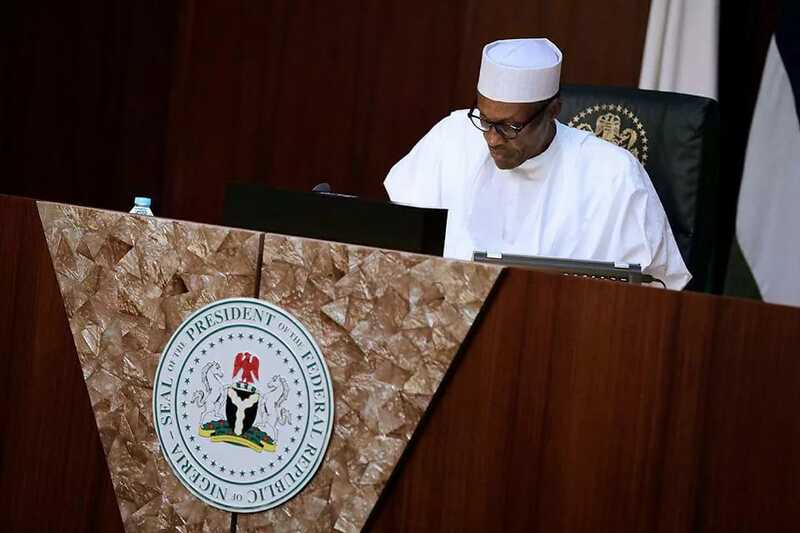 Like a leader, Buhari has a message in his anti-corruption crusade, but, unlike a leader, he has failed to connect with Nigerians on an emotional level. Leaders rally their followers to action by appealing to their emotions and sentiments for in politics and statecraft sentiments rule over reason. Most successful leaders were confident and versatile public speakers. The masses are stirred to action, and inspired to selflessness and sacrifice by electrifying oratory. They are roused to thinking and behaving differently, with increased willingness for self-sacrifice towards the realisation of the leader’s vision, by riveting oratory. Buhari has not demonstrated a flare for oratory. Consequently, his message has not struck a responsive chord in the Nigerian minds. As such, the only weapon in his arsenal for the war against corruption is fear: fear of arrest, prosecution and imprisonment. Instructively, fear is the least effective deterrent to crime. The 18th Century German sociologist, Max Weber, once defined power, as, “the ability to get others acting in accordance to your will”. The renowned American diplomat, John Galbraith, distinguished between three types of power: condign, compensatory and conditioned power; every exercise of power involves one or a combination of these types of power. Condign power, which dictates obedience based on fear of punishment, he wrote, is the weakest and most ineffective form of power. Conditioned power, which gets people to comply with the dictates of power, because they have been conditioned to believe that it is the right thing to do, and so, they do it without compulsion and fear of punishment, is the most effective form of power.